Quote: "Police are investigating after a woman was found dead Friday evening. According to MPD, they responded to a man down call on the 1000 block of College Street behind Stax Academy. Police say the cause of death is not known. Witnesses report an usual strange smell and officials wore protective gear against hazardous material." Quote: "MOSCOW, 2 Sep — RIA Novosti. Level of hydrogen sulfide has exceeded extreme admissible concentration (in the masculine maximum allowable concentration) of harmful substances in the atmosphere in the southeast of Moscow on Friday night, reports to GPBU 'Moskekomonitoring'." Quote: "An unknown smell has forced some patients at Royal Perth Hospital to be moved within the facility, as firefighters investigate. A hazmat incident was reported in the south block on Friday and patients on Ward 10A and Ward 11 have been relocated within the hospital. As a precautionary measure, people in the area have been advised to remain inside with doors and windows closed. Motorists are also urged to avoid the area." Quote: "Office in Kilmarnock evacuated after suspected gas leak in the building..."
Quote: "It’s understood that staff at Stirling Park had to leave their offices, with some suffering from breathing difficulties." Quote: "After a thorough examination of the building the surrounding area, no harmful substances were found." Quote: "Firefighters from three counties worked across the weekend to tackle then make safe a huge blaze at a metal scrap-yard in Bourne. Up to 10 crews from Bourne, Spalding and Kirton went to B W Riddle, in South Fen Road, where a large pile of scrap metal went up in flames just after 4.50pm on Friday (August 25)." Quote: "Large clouds of smoke could be seen for up to 20 miles away and people living nearby were advised to keep windows and doors closed." Quote: "Over 100 wildfires are currently burning in Canada, and all the smoke from the fires is making its way to Iowa." Quote: "In Los Angeles, a wildfire just north of downtown had grown to the largest in city history, Mayor Eric Garcetti said. Three structures had burned, at least two of them homes, but fire officials said they were confident they could tame the blaze unless winds picked up. Wildfires also entered a 2,700-year-old grove of giant sequoia trees near Yosemite National Park and have driven people from their homes in Washington, Oregon, Montana and other areas struggling with a weeklong heat wave that’s gripped the region." Quote: "A large pile of metal caught fire at the scrap metal facility, 711 Lewis St. A person passing by the property reported the problem about 7:15 p.m. Sept. 2. Acting Capt. Joe Smith estimated the pile was about 60 feet high. No one was at OmniSource at the time of the fire. The plant had been closed since 5 p.m. Friday." Quote: "Two unconscious women were pulled from the American River on Saturday afternoon, the Sacramento Fire Department said in a tweet published at 4:44 p.m. The women were found in the river east of Interstate 5, said Chris Harvey , a department spokesman. They both had medical emergencies at the time of the incident, a separate tweet said." Quote: "A crane operator had to be rescued from his perch on a Port of Tauranga straddle crane after suffering from a medical event on the weekend. Emergency services were called to the port on Saturday morning after the man had collapsed." Quote: "A heat wave hit California which has resulted in record-high temperatures in San Francisco. The city's previous record high temperature was 39.4 degrees Celsius, set in 2000. On Friday, the temperature in downtown San Francisco reached 41.1 degrees Celsius. On Saturday, it increased to 42.7 degrees Celsius, the US National Weather Service said. 'This was the highest reading since records were first kept there in 1874. That's the oldest climate station in California,' a meteorologist said, adding 'That's a significant record.'" Quote: "At least 74 wildfires are burning in eight Western states and consumed more than a million acres combined." Quote: "Gardai carried out a technical examination of the scene of a fire that destroyed more than 160 cars at a compound in county Louth in the early hours of Sunday morning. The fire, at Cassidy Car Parts in Grangebellew, was reported around 5am and fire crews were still at the scene this afternoon." Quote: "SFD Batallion Chief David Gaudin said the fire started in the carport area of the home. 'There were two vehicles involved, flames reaching 30, 40 feet in the air, power line down,' Gaudin said." Quote: "A 15-year-old female student at Germantown Academy was taken to the hospital after she suffered a medical incident in the school pool around 10:15 a.m. Friday, Whitemarsh police reported." Quote: "An American Airlines plane made an emergency landing Monday night. An airport official told News 3 the plane safely landed at Norfolk International Airport. The flight number is 235 and the plane was heading from John F. Kennedy International Airport to Miami. The plane landed after reports of smoke in the cockpit." Quote: "The Napoleon Fire Department did an odor investigation in the 500 and 600 block of East Riverview Avenue at approximately 5 p.m. Tuesday after the smell of gas was reported. After an investigation, crews were unable to determine a source." Quote: "The University Hospital of Wales has reopened after the fire service investigated what was described as an 'odd smell'. Its main outpatients corridor from the concourse to the radiology department and the Rheumatology Day Centre were affected. A spokeswoman for the Cardiff hospital said the 'odd smell' meant a number of clinics were also affected." Quote: "Mystery surrounds the source of a foul smell which has been plaguing people living in a cluster of housing estates on the edge of Ashbourne for more than a year. People in the Derby Road estate, streets near the Airfield Industrial Estate and other roads, such as Wyaston Road, say they are getting whiffs of what smells like sewage." Quote: "Law enforcement is investigating a medical incident Sunday involving two juvenile males. The Morrison County Sheriff's office was called at 3:21 p.m. to a report of a medical situation near the Elk River, under the Highway 115 bridge in Randall. Authorities located Cole Kjeldergaard, 14, Cushing, on land near the river and he was semi-responsive; and Nicholas Angevine, 12, Randall, under the bridge and unresponsive." Quote: "Q13 News viewers have been sending us photos and video of ash falling from the sky and landing on their cars and homes. Reports of ash have come from King, Snohomish, Pierce, Thurston, Lewis, Jefferson, Grays Harbor, Skagit and Mason counties." Quote: "Armed with the most powerful winds ever recorded for a storm in the Atlantic Ocean, Hurricane Irma bore down Tuesday on the Leeward Islands of the northeast Caribbean on a forecast path that could take it toward Florida over the weekend. 'The Leeward Islands are going to get destroyed,' warned Colorado State University meteorology professor Phil Klotzbach, a noted hurricane expert." Quote: "President Donald Trump approved emergency declarations for Florida, Puerto Rico and the U.S. Virgin Islands Tuesday evening." Quote: "An engine fire forced a packed flight from Las Vegas to New York to make an emergency landing at McCarran International Airport just after midnight. No one was hurt, but passengers described tense moments in the cockpit. Delta flight 1057 took off late Tuesday night, bound for New York's JFK airport. About 15 minutes into the flight, passengers noticed the left engine of the Boeing 757 burst into flames. 'There was an orange light glowing from the windows in the back,' said one passenger who asked to remain anonymous. 'The people were yelling, "It's getting worse!" They turned the plane around, thank God.'" Quote: "Two manhole covers -- weighing hundreds of pounds -- appeared to be blown off. It tore entire sheets of concrete and asphalt 7 inches deep from the ground. It rained debris onto nearby vehicles, shattering windshields and damaging cars. A large hole was left in the street following the explosion." Quote: "It was not clear late Thursday what type of gas was leaking, officials said, since the meters cannot differentiate between methane and natural gas, which is mostly methane. Officials earlier had called it a natural gas leak." Quote: "The fire at Mid-City Blaze on Route 6 started just after 1:30 Wednesday morning. Officials believe a large pile of scrap metal caught fire, though what sparked the blaze is not known at this time." Quote: "Heavy winter snow and a very wet spring in the Western U.S. generated predictions the 2017 wildfire season would be tame. But it's shaping up to be one of the worst in U.S. history in land burned." Quote: "It’s very unusual to have this many fires burning this many acres across such a broad area at this time in September..."
Quote: "The South Coast Air Quality Management District has issued an odor advisory Thursday for the Coachella Valley due to elevated levels of a gas that smells like rotten eggs. That gas – hydrogen sulfide – is associated with natural processes occurring in the Salton Sea." Quote: "A stench that has permeated over some Darwin suburbs in recent days has sparked an investigation by the Northern Territory's environmental watchdog, with conflicting reasons as to what is causing the offensive odour. Foul 'rotten-egg' type smells have been noted over some northern suburbs, including Leanyer, Muirhead, Lyons, Malak and Anula..."
Quote: "Mystery surrounds a loud explosion that shook Moranbah homes overnight. Just before 11pm, numerous residents reported hearing a huge 'bang' that seemingly shook their homes. A Queensland Police media spokeswoman confirmed police were alerted to a potential explosion around 10.49pm." Quote: "Nearly 350 customers were without power Wednesday night after a transformer exploded in a neighborhood near the Santa Barbara waterfront." Quote: "There appears to be a spike in the number of vehicle fires these days..."
Quote: "This advisory is in effect today, Friday, September 8, 2017, and will expire at midnight on Monday evening." Quote: "Gatwick Garth, Hull. Fri 8 Sep 2017 20:33 (No:19756) Report of smell of gas in area. Area searched no smell of gas. Ambulance requested for confused male. Inspection only by Fire and Rescue Service." Quote: "Stoke-on-Trent residents who heard a 'loud bang' this morning have been left puzzled as to what the noise was. Dozens of people contacted The Sentinel after hearing what they described as an 'explosion' just before 8am this morning. People took to social media to ask the question after the bang was heard in Burslem, Tunstall, Sneyd Green, Middleport, Etruria, Ball Green, Chell and some parts of Hanley. Residents reported their houses being shaken after the bang, which was also heard in Smallthorne, Norton and Mill Hill." Quote: "Smoke from huge wildfires in the Northwest made its way to the St. Louis area Friday, leaving a noticeable haze and smell in the air." Quote: "Two running cars mysteriously caught fire in two separate incidents in Odisha on Friday. A car on its way to Cuttack from Bhubaneswar caught fire on the Phulnakhara flyover. Luckily, the three occupants in the car were rescued to safety. Policemen from Cuttack Sadar police station, Phulnakhara Traffic police station and Fire Brigade personnel doused the fire. Similarly, another running car caught fire at Udyanbandh under Komana police limits in Nuapada district." Quote: "The Cowboy Fire is burning on an estimated 1,592 acres northeast of Evanston, and as of Sunday the blaze is 50% contained. Fire and ambulance personnel in Uinta County, Wyoming say the fire began Saturday afternoon after a wind turbine caught fire and the flames spread to the sage brush." Quote: "A 2002 Ford Focus and non-attached garage are a total loss after a fire erupted Sunday afternoon. The owner of the car heard the alarm going off, when he noticed flames under the dash. He tried to put it out with an extinguisher but the fire escalated." Quote: "Sunday was busy for Town of Maine first responders. They got a call for a garage fire while still responding to a transformer fire in another part of town." Quote: "Hurricane Irma gave Florida a coast-to-coast pummeling with winds up to 130 mph Sunday, swamping homes and boats, knocking out power to millions and toppling massive construction cranes over the Miami skyline. The 400-mile-wide (640-kilometer-wide) storm blew ashore in the morning in the mostly cleared-out Florida Keys, then began a slow march up the state's west coast, its punishing winds extending clear across to Miami and West Palm Beach on the Atlantic side. While Irma arrived in Florida as a Category 4 hurricane, by nightfall it was down to a Category 2 with winds of 105 mph (177 kph)." Quote: "More than 3.3 million homes and businesses across the state lost power, and utility officials said it will take weeks to restore electricity to everyone." Quote: "Fresh analysis of a new geological phenomenon shows how gas is still gushing from a submerged crater caused by a fierce methane gas explosion in northern Siberia in June." Quote: "Six people were mysteriously struck down with breathing problems at Frankfurt Airport on Monday morning. Firefighters were called to Terminal 1 after several people reported breathing problems at the check-in counters around 11am. The people were treated at the scene and after no trace of gas was detected the counters were reopened, according to The Local. The incident was initially reported by Bild as a gas attack, with the paper saying an unknown assailant had sprayed passengers with a mystery substance. However, it now appears that information was incorrect. Airport authorities say the exact cause of the incident is still unclear, but investigations are ongoing." Quote: "Local media reported incident as a gas attack, though this was later debunked"
Quote: "Hickory firefighters say they were on their way back to the station around 8:32 p.m. when they noticed a fire at the recycling facility in 10th Street Place NW. Additional firefighters were called to assist in extinguishing the fire and the roadway was blocked for a time. Firefighters say they arrived to find burning bales of cardboard inside the building. The fire was controlled by 9:02 p.m."
Quote: "Ottumwa firefighters faced two vehicle fires in less than an hour Monday afternoon. Fire completely destroyed a pickup truck on Ingersol Street, on Ottumwa's southside. Firefighters responded just after 2 p.m. after a neighbor reported hearing an explosion and seeing the truck engulfed in flames. An Ottumwa Fire Department spokesman says that the truck had been driven just minutes before it caught fire. No one was injured. Firefighters responded to that fire as they were finishing up a car fire on Business 63 near Domino's. In that case, the car caught fire as it was being driven." Quote: "A string of suspicious car fires in Ottumwa had authorities on alert when two car fires were reported within 30 minutes of each-other in Ottumwa. However, Deputy Fire Chief Cory Benge confirmed that neither of the car fires reported Monday are being treated as suspicious." Quote: "Emergency crews are in the area of Sedwick Road, and Stillwell Lane, near Clarkwood Road in Annaville, for an H2S chemical leak after a worker in the area was hospitalized when he came across a hole in the ground filled with a bubbling liquid, according to officials on scene. Hazmat crews were called to the area to investigate, and they located the hole the worker was speaking of. Hazmat crews confirmed readings of H2S (hydrogen sulfide) coming from that hole." Quote: "On Tuesday, Sea Girt lifeguards were called to assist a surfer who was having a medical issue. Authorities say the man, who was found laying on his surfboard along the shoreline and unable to speak, was transported to a local hospital for treatment." Quote: "Four people were hospitalized Tuesday after falling ill for unknown reasons at Inovio Pharmaceuticals in Sorrento Mesa. According to San Diego Fire-Rescue, they were called to 6769 Mesa Ridge around 1:30 p.m. for reports that several people were ill, with one man passed out outside the building." Quote: "Penampang district police chief Deputy Supt Rosley Hobden said that the department had yet to identify the victim and were investigating the cause of the 4.40am fire and death. He said, it could not be ruled out that the victim had left the engine running while he slept in the vehicle by the side of the road." Quote: "Residents have spoken of their shock after a body was found in a burned out vehicle at a Hampshire beauty spot. The emergency services were called to an isolated car park in the New Forest after the body of a man was discovered in the charred remains of a car. A post-mortem examination will be carried out in the next few days to establish the cause of death and an inquest will be held. But police officers investigating the incident at Burbush car park in Burley Road, Burley, said it was not being treated as suspicious." Quote: "A driver is in critical condition after being badly burned in a vehicle fire in North Richland Hills Tuesday. It happened at about 2:45 p.m. along Loop 820 at the Davis Boulevard off ramp when the driver's truck caught fire. North Richland Hills police and fire crews responded and quickly put out the flames. The driver was transported by a CareFlite air ambulance to Parkland Memorial Hospital in Dallas in critical condition, according to police." Quote: "One person has been injured in a fire onboard a Wightlink ferry. Five fire engines from Newport, Cowes and the West Wight were called to the scene, at Wightlink's Yarmouth terminal, shortly after 10pm tonight (Tuesday), together with rescue support vehicles. A fire had broken out in the engine room and there were reports of an explosion, according to a spokeswoman for the Isle of Wight Fire and Rescue Service. She said one person had been hurt, and the casualty was in the care of the Isle of Wight Ambulance Service. It is not known if passengers were evacuated from the car ferry." Quote: "The military says 15 Marines have been taken to Southern California hospitals after a seafaring tank caught fire during training at Camp Pendleton. Marine 1st Lt. Paul Gainey told The Associated Press that at about 9:30 a.m. Wednesday an amphibious assault vehicle caught fire while the Marines were conducting a training exercise on a beach at the base, north of San Diego." 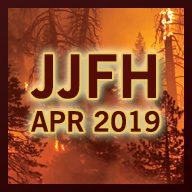 Quote: "A house fire in Jackson Center Wednesday evening started when a car parked in the garage caught fire, authorities said. The fire then spread to the house. No injuries were reported, and the house sustained heavy damage." Quote: "Crews are responding to a fire in Kalamazoo at a used car parts yard. We're told that the fire is burning in the area of Lake Street and Shakespeare Avenue, just west of the I-94 business loop." Quote: "The U.S. government says it has already spent a record $2.3 billion fighting wildfires this year, and 64 major fires are still burning in 10 states." Quote: "Several similar fires have broken out in recent months with under-construction buildings destroyed before completion." Quote: "Around 100 tonnes of scrap metal and cars have gone up in flames in Great Blakenham this evening." Quote: "A home and two cars have been destroyed in a blaze in Lakelands, near Mandurah. A Fire and Emergency Services spokeswomen says the fire, on Coila Bend, started in a car in the garage and grew to engulf the entire home." Quote: "This has been going on for about a week in the area of Rodenbaugh Avenue. There have been raccoons and groundhogs coming out of the woods behind the houses that appear sick. Karene Meyer says each time, police are called. 'They seem to be sick, doesn't seem to be rabies. The reason why they are saying they are sick is because they are not responding, moving or running away from them and they are listless. It's like they are dying,' said Meyer. Ross Township Police say they shoot and kill five to 10 animals a day, then toss them back into the woods." Quote: "A large fire broke out late Saturday night in a stack of salvage vehicles at Pacific Recycling Center on Palmer Street in Missoula. When Missoula Fire Department reached the fire, crews found 30-foot flames burning the group of vehicles while propane and other fuel tanks exploded." Quote: "Roughly 20 cars in a local auto salvage yard were engulfed by flame Saturday morning. The fire at Bud’s Auto Parts at 4490 Montcalm Avenue in Gowen took more than two hours for firefighters from Montcalm Township, Spencer Township and the Greenville Department of Public Safety to put out." Quote: "Cal Fire Riverside County firefighters said the fire happened just after 5:30 p.m. on the 75000 block of Sheryl Avenue. Fire crews located a vehicle on fire inside the auto shop." Quote: "A strong ash explosion was observed at Zhupanovsky volcano, Kamchatka, Russia at 23:30 UTC on September 16, 2017. According to data provided by the Tokyo VAAC, ash cloud reached a height of 7 km (23 000 feet) above sea level and drifted southwest. This is the first eruption at Zhupanovsky since November 2016." Quote: "Emergency services rushed to Alwold Crescent in Lee, south London after residents were rushed to hospital with nausea and vomiting..."
Quote: "We reviewed a row of terraced houses and maisonettes after residents reported smelling an unknown chemical." Quote: "Taxi driver Ian Crouch, 39, told The Sun that emergency services appeared to be investigating the sewage system." Quote: "Laclede Gas Company crews responded to the city's medium-security jail on Sunday after reports of a gas odor. 'We didn't find any gas leaking on the property at that time,' company spokeswoman Jenny Gobble said." Quote: "Gobble said technicians did not find evidence of natural gas or carbon monoxide outside the jail, underground or in areas of the building where the scent was reported." Quote: "The exact cause of an underground fire reported in downtown Erie is still under investigation by Penelec. The fire sent firefighters and city police into action shortly after 5:00 p.m. Sunday. The first call was for smoke pouring out of the street grates at 10th and State Street near Sluggers Bar. The first firefighters to arrive on the scene said they say heavy smoke streaming up from underground." Quote: "Suddenly, the second shark is seen spiralling out of control, before moments later, being left motionless. The shark has been attacked by a ginormous sea louse that latches onto its prey’s head. It suffocates the shark, slowly killing it before devouring its body." Quote: "Fire crews are on the scene of a multi vehicle fire at a General Scrapyard in Hunlock Township in Luzerne County. Heavy smoke can be seen for miles." Quote: "A tower of black smoke visible for miles rose into the sky Monday as fire consumed piles of junk cars at a scrap yard along U.S. Route 11." Quote: "Four people were injured and 11 vehicles were burned in a carport fire in Duarte Monday night, officials said. The fire was reported just after 9 p.m. at an apartment complex on Las Lomas Road, just north of Huntington Drive." Quote: "Hurricane Maria has strengthened to a powerful Category 5 Hurricane. The islands of the eastern Caribbean prepared Sunday to face another potential disaster, with forecasters saying newly formed and likely to strengthen Hurricane Maria was headed for a hit on the Leeward Islands by Monday night." Quote: "Maria, which went from an unnamed storm into a Category 5 over the course of a stunning 24 hours on Monday, ravaged Dominica and took aim at the Virgin Islands and Puerto Rico, which has not taken a direct Cat 5 hit since 1928. Maria is expected to cross Puerto Rico from southeast to northwest starting Wednesday morning. Up to nine feet of storm surge and 25 inches of rainfall are forecast in some areas, with dangerous flash floods and mudslides possible until as late as Saturday." Quote: "Orlando officials also noted that heavy rains can saturate the groundwater, resulting in a sulfur-like smell similar to rotten eggs." Quote: "Tree debris settling in low, swampy areas, creating hydrogen sulfide..."
Quote: "Clay County school district spokeswoman Nicole Snyder said she couldn’t speak about a specific student due to privacy concerns, but confirmed that a medical emergency occurred at the school. 'A Fleming Island High School student passed out today while he was working out in the weight room during school hours. EMS was called immediately and he was transported to a nearby hospital. He was transferred to Wolfson Children’s Hospital where he is in critical condition.'" Quote: "Montreal police say a mechanical issue appears to be the reason behind a fatal fire late Tuesday night. Firefighters were called to Vanden-Abeele Street, in Saint-Laurent's industrial park, around 11:15 p.m. to put out a major fire. Once the flames were out, they looked inside the burnt-out vehicle and discovered a body, said Const. Raphaël Bergeron. Police say they do not suspect foul play in the incident. The vehicle, which police identified as a Polaris Slingshot three-wheel motorcycle, was so badly burned it is practically unrecognizable. All that's left is a pile of metal and tires. The investigation was handed over to Montreal police investigators, who determined the cause looks to be a mechanical breakdown." Quote: "Several airplanes were destroyed Tuesday afternoon after a fire broke out at Barnwell Regional Airport. According to the Barnwell County Fire Department, a hanger containing seven airplanes caught fire. The call came in at 2:07 p.m. Five of the planes inside were heavily damaged. No one was inside the hanger at the time of the fire." Quote: "The International Union of Marine Insurance has called for better fire-fighting systems on board container ships, citing its concern that current provisions are insufficient given the growing size of container vessels and a recent spate of fires on board ships." Quote: "In February this year, the IUMI called for action on ferry and roro [roll-on roll-off] fires." Quote: "Early Wednesday, Mexico's civil defense agency said the death toll stood at 226 -- as rescue teams continued to search for survivors in the rubble of collapsed buildings in Mexico City and surrounding states." Quote: "Twenty nine people from whom children, have addressed physicians with complaints to poisoning after emission of hydrogen sulfide in the Orenburg region. Have reported about it to TASS in the regional Ministry of Health. In total with complaints to nausea and dizziness have addressed to medical out-patient clinic residents of the settlement of Samorodovo from whom children." Quote: "Students and staffers were evacuated from Bishop Fenwick High School on Wednesday morning after a report of a gas leak coming from a science lab in the Middletown school. Middletown fire crews determined it was not a gas leak but a foul odor of some sort, and the building was re-opened after a delay of 35 minutes." Note: If they thought it was a gas leak then it was a rotten egg odor that they smelled. But it wasn't natural gas, soooo...? Quote: "A large engineering workshop and helicopter base at Neils Beach, Jackson Bay, was burned to the ground in a massive blaze today, claiming at least one helicopter." 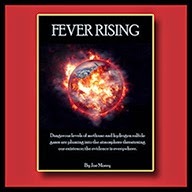 Quote: "In the last year, cases of a ghastly but mysterious flesh-eating bacterial infection have more than doubled in Victoria, Australia, raising alarm among health experts. There were 239 cases of the flesh-eating infections in the past 12 months, according to figures (PDF) released this week by health authorities. In 2016, there were only 102 reported cases, while 2015 and 2014 tallied just 58 and 47." Quote: "Hurricane Maria has knocked out power to the entire island of Puerto Rico, home to 3.5m people, emergency officials have said. Abner Gómez, head of the disaster management agency, said none of the customers of Puerto Rico's Electric Power Authority had any electricity. The US National Hurricane Center said 'catastrophic' flooding was sweeping parts of the island." Quote: "Maria made landfall in Yabucoa in the east of Puerto Rico early on Wednesday as a category four storm, according to the US National Hurricane Center (NHC). It was the first category four hurricane to directly hit the island since 1932. Hours earlier, Maria barreled through the US Virgin Islands' St Croix as a category five storm, sustaining winds of up to 175mph (281km/h)." Quote: "At present, the entire island is without grid-based power generation. And the damage is so severe that officials are saying that it could take up to 4-6 months to completely restore electricity." Quote: "For all intents and purposes, Puerto Rico is destroyed..."
Quote: "The rain gauge near Caguas, PR also measured 14.31 inches in one hour. That’s a candidate for the most ever, worldwide." Note: Whoa, more than an inch of rain every five minutes! Quote: "An Inman family’s home was damaged in a fire on Wednesday morning. North Spartanburg Assistant Fire Chief Brent Lewis said a blaze spread from burning vehicles to a house in the Hickory Hills subdivision. Lewis said crews found two vehicles on fire when they arrived on scene shortly after 6 a.m. Wednesday." Quote: "The fire appears to have started in a car before spreading to an Arrowhead Lane home." Quote: "Firefighters say a fire that began in a vehicle parked in the driveway, spread to the house. Crews were called to 3294 West 32nd on Cleveland's west side around 7:00 a.m. Wednesday. Neighbors called 911 after noticing the car on fire." Note: Eventually people will stop parking vehicles near the homes, even if for no other reason than that people who park their vehicles near their homes won't have homes anymore. Problem solved! Quote: "The post came after several residents, including Ocean View School District board President Gina Clayton-Tarvin, showed up to Monday’s City Council meeting to complain. They said the problem has been occurring off and on for about two years, with a particularly bad occurrence Aug. 29. 'It was so overwhelming — I thought I had a gas leak in the home,' Clayton-Tarvin said. South Coast Air Quality Management District spokesman Sam Atwood said monitoring equipment in the area recorded the highest measured concentration of hydrogen sulfide odor this year on Aug. 29 — some 16 parts per billion." Quote: "Seal Beach and Long Beach residents have reported similar odors." Quote: "Residents report that the odor causes headaches, nausea and sore throats." Quote: "However, the symptoms associated with this level of exposure are temporary and do not cause any long-term health effects." Quote: "A strong odor of gas was reported about 10 p.m. Thursday at the apartment house at 2907 Warford Ave., bringing the Perry Volunteer Fire Department to the scene. The source of the reported odor was not immediately identified. The on-site manager of the units said the entire apartment house uses electric appliances, and there are no gas connections." Quote: "A tragic Irish OAP who mysteriously went up in flames while out walking just yards from home was left with scorch marks on his internal organs. John Nolan, 70, suffered catastrophic third-degree burns to 65 per cent of his body and was airlifted to hospital following the unexplained incident near his flat in north London on Sunday afternoon." Quote: "He got to some place near the bridge and we genuinely don’t know what happened, none of us do, but he went on fire and suffered third-degree burns to 65 per cent of his body." Quote: "How does a man go on fire on the street?" Quote: "The building where the explosion happened is close to the Hunterston nuclear power station but not connected to the plant It is used as converter station for a £1bn, 260-mile undersea power cable between Scotland and England. The facility was visibly damaged by the explosion, with several pieces of outer cladding shaken loose." Quote: "Harkers Island Fire and Rescue responded Thursday afternoon to a medical emergency out at Cape Lookout National Seashore. According to emergency scanner reports, at about 12:12 p.m. Thursday, a call went out to a medical emergency on Portsmouth Island. Harkers Island Fire and Rescue personnel launched a watercraft from Cedar Island to reach it, responding to a juvenile patient having a seizure." Quote: "Firefighters rescued a man stuck about 50 feet up a radio tower in Long Beach after he had some kind of medical emergency Thursday afternoon, according to authorities. The 24-year-old man passed out while he was working on the tower, and crews headed to the scene near the intersection of Spring Street and Redondo Avenue around 2:30 p.m., Long Beach Fire Department spokesman Jake Heflin said." Quote: "Bushfire conditions as bad as 2013 blazes but three weeks earlier..."
Quote: "The fire occurred at the Suncoast Chrysler located at 8755 Park Boulevard in Seminole. Two employees arrived at work at 6 a.m. on Friday and said the two golf carts caught fire. They called 911 and Seminole Fire Rescue as well as surrounding agencies responded. There were no reported injuries, and the fire is not believed to be suspicious." Quote: "A person is dead after a car caught alight on a Tasmnanian boat ramp, but police say it is not suspicious. Authorities were called to the Sorell Creek Boat Ramp, a short distance from New Norfolk, where a green 2001 Toyota hatchback was on fire, about 4.30pm on Saturday." Note: It's always best to burn to death in your vehicle unsuspiciously! Quote: "A Herron Island woman woke up to flames burning her bedsheets Saturday morning in a fire that burned her home to the ground, according to the Key Peninsula Fire Department. Crews were dispatched to the home in the 200 block of Fir Lane about 8:30 a.m. By the time firefighters reached the island by ferry, they arrived to see the 900-square-foot home engulfed in flames, Key Peninsula Chief Guy Allen said." Quote: "Two five-month old baby boys have died after they were found not breathing at a house in Bridgend." Quote: "The volcanic alert level for Manaro Voui volcano on Ambae island was raised to the second highest (4: "moderate eruption") on Vanuatu's scale of 1-5 this Saturday, as the activity intensified gradually over the past weeks. A vent in or near the caldera lake Voui has been producing mild ash emissions over the past weeks, but these have now become stronger and for the first time lava glow also was observed, suggesting that the eruption is transitioning from phreatic (steam-driven) to magmatic (arrival of fresh magma). According to local press articles, authorities in Vanuatu are preparing to evacuate up to 5000 people from the island's most exposed areas to safer locations." Quote: "The fire started inside of the vehicle from an unknown cause, Hunt said, as no external source could be identified." Quote: "The flames broke out in a Virginia car parts business about 3.30pm on Sunday and shocked motorists filmed mobile phone footage of plumes of black smoke billowing from the premises. The business, All Crash Parts, was engulfed in flames and police said the smoke was toxic." Quote: "The fire was fuelled by chemicals used to detail the cars and vehicles waiting to be serviced were burned up as they sat on the lot." Quote: "Unity Township’s public works garage was destroyed by fire Sunday morning, along with nearly half of the municipality’s trucks inside it that handle road maintenance, snow plowing, hauling and other duties." Quote: "Mr. O’Barto said those losses include eight or nine trucks out of about 20 in the municipality’s inventory." Quote: "Seven 10-tonne lorries and two trailers were destroyed in a fire that razed a factory at Bukit Kemuning here this morning. No casualties were reported in the incident which reportedly started at 12.50am." Quote: "Structures have been destroyed by an out-of-control bushfire southwest of Port Macquarie, the NSW Rural Fire Service says. The blaze, which was raging in the Innes View area, west of Comboyne, blackened about 950 hectares in hot and windy conditions on Sunday afternoon." Quote: "At 5pm, there were nearly 100 grass or bushfires burning across NSW and 29 were not contained." Quote: "An out-of-control bushfire is burning on NSW's south coast, with the RFS telling residents near West Nowra to take shelter. It issued the emergency warning after 12.30pm on Monday saying: 'People are advised to take shelter as the fire front approaches'. The fire is burning near Filter Rd and Cavanagh Lane, West Nowra and it's too late for residents to leave, the RFS says." Quote: "Bali has declared a state of natural disaster, which means that regencies across the island are compelled to set up shelters for evacuees. So far, more than 35,000 people have moved to temporary accommodation and that number could rise to 70,000 following an eruption, Governor I Made Mangku Pastika said." Quote: "Residents in Sengkang, Hougang and Buangkok were among the first to report a strong smell from as early as 4.30pm, before similar complaints came in from people living in Bishan and Ang Mo Kio. They described it as a foul smell, 'chemical-like' and choking. Some also reported hazy conditions in the area." Quote: "Townhomes in Whitestown were briefly evacuated Monday evening after reports of a suspicious odor." Quote: "Smoke filled the cabin of an Allegiant Air jet after it landed at a California airport on Monday, forcing coughing passengers to cover their faces with shirts and firefighters to board the plane, authorities said. None of the 150 passengers or six crew members was injured when the plane from Las Vegas landed at Fresno International Airport, Allegiant Air said. As the plane was taxiing in Fresno, it came to an abrupt stop and smoke started to fill the cabin from the front of the aircraft, said passenger Estevan Moreno, 34, a Fresno police officer." Quote: "Hurricane Lee has become the eighth consecutive Atlantic hurricane of this year's hurricane season. It's been more than 120 years since the Atlantic last encountered as many or more hurricanes as this in a row in one season." Quote: "Get Surrey is getting reports of a bad whiff in West Byfleet, Maybury, Sheerwater and beyond..."
Quote: "We have had reports that the smell is continuing to spread...Affected locations include Pyrford, Wisley, Addlestone, Rowtown, Maubury AND Horsell. Is it a question of which area ISN’T affected?" Quote: "The Monaro Voui volcano, located on the northern island of Ambae, has been simmering for weeks and finally erupted on Tuesday, September 26." Quote: "Manaro Voui is not the only volcano causing trouble south of mainland Asia. Mount Agung volcano in tourist hotspot Bali has been hit by 300 huge tremors over a six-hour period, sparking fears it could erupt for the first time in 50 years." Quote: "Warnings that a volcano on the Indonesian tourist island of Bali will erupt have sparked an exodus of more than 75,000 people that is likely to continue to swell, the country's disaster agency said Tuesday. Authorities have ordered the evacuation of villagers living within a high danger zone that in places extends 12 kilometers (7.5 miles) from Mount Agung's crater. But people further away are also leaving, said National Disaster Mitigation Agency spokesman Sutopo Purwo Nugroho. The region is being rattled daily by hundreds of tremors from the mountain, which volcanologists say indicates a high chance of an eruption. Mount Agung last erupted in 1963, killing about 1,100 people. Evacuees are taking shelter at more than 370 sites across the island that include temporary camps, sport centers, village halls and the houses of friends and relatives." Quote: "A huge iceberg four times the size of Manhattan has broken off of an Antarctic glacier. The calving is the second time in two years that a massive iceberg has separated from the continent's Pine Island Glacier. One scientist has claimed the ice chunk shows the glacier is 'falling to pieces'. The new break-off, which measures 103-square-mile (266 sq km), follows the release of an iceberg the size of Delaware from Antarctica's Larsen C ice shelf in July." Quote: "The U.S. National Ice Center measured the iceberg at 71.5 square miles, about three times the size of Manhattan. Previous media reports had the iceberg at over 100 square miles." Quote: "St. James Parish Sheriff Willy Martin Jr. said the Entergy substation where the transformer is located is the main one that feeds power to the 227,500-barrel oil refinery in Convent. The transformer's loss cut power to portions of the huge complex along the Mississippi River and at the parish line, he said." Quote: "Last night in St. Elizabeth Village, St. Joseph it was like a scene from a movie with a tragic and unfortunate ending. Sometime around 10:42 pm, on Wednesday, September 27, 2017, police received a report of a person being on fire at St. Elizabeth Village, St. Joseph. On responding to the area, the charred body of a man believed to be in his sixties (60’s) was discovered lying on his back." Quote: "A power cut in Ramsgate last night through to this morning (September 27-28) was caused by an explosion in a substation. Some 2039 properties, mostly in the town and seafront, were affected by the outage at 11.43pm. Many people reported hearing a loud bang before the electricity went off. Some properties are still without power this morning. Kent Police were called to a town substation last night and have confirmed there was an explosion." Quote: "They said the cause was an ‘underground network fault.’"
Quote: "Terrified residents reported seeing flames up to THREE metres high shooting from a manhole following an explosion in North Warwickshire. Thick plumes of smoke followed the shooting flames forcing firefighters to cordon off the road." Quote: "Update: People have been let back into a Wichita elementary school after the smell of gas. Clark Elementary School was evacuated this afternoon because of the odor. A Wichita Public Schools spokesperson said the gas was from a sewer trap and there was never a gas leak." Quote: "Park City Prep Charter School was evacuated Thursday around 12:30 p.m. after an unusual odor was detected, according to fire dispatch reports. Fire fighters responded to the scene to check for the source of the smell. An initial investigation found nothing around 1 p.m., according to dispatch reports." Quote: "The county's aviation unit was assisting with the Palisades Interstate Parkway Police search for two missing people, when the pilots radioed they had to land in the parking lot at State Line Lookout at 10:17 a.m., the parkway police said in a statement. They landed because of smoke in the cockpit. The helicopter made a 'hard landing, skidding approximately 30 feet before coming to rest,' parkway police said." Quote: "It’s a $100 million MTA project shrouded in secrecy, with 18 of them for tunnels and bridges. So what are they exactly? The MTA’s man in charge of the bridges and tunnels, Cedrick Fulton, dodged Carlin’s questions Wednesday. 'I said no comment,' he said." Note: Sensor networks to analyze the atmosphere? Tunnels and bridges are places where you'd expect hydrogen sulfide to affect stuff more than some other places, and it might be useful to have a sensor network for that, to know when to stop traffic and such. These things probably have multiple purposes though. Whatever these pylons are, they sure are being secretive about them!